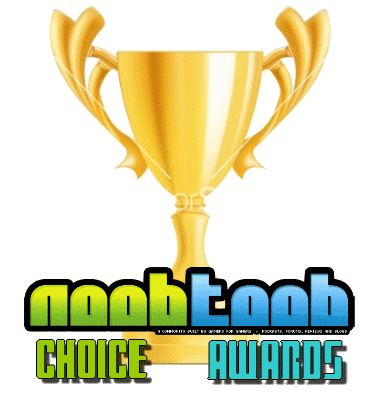 Welcome to the Noob's Choice Awards for 2014! Voting starts today and will end on the 20th of December, so get those votes in and let's see what games come out on top. Same rules as every year. No double-voting, and put the full name of the game in your votes. Stuff like Assassin's Creed doesn't count. Also, don't toss your votes in here for everyone to see. Put them in each respective categories thread when it goes live. Thanks for these, Manio, and good call on having them run a month, hopefully that way we can squeeze as many voters in as possible. Yeah, here's hoping these don't flop as bad as the ones from 2012. On top of that I still have a few console 2014 that I own but haven't played yet. I'm trying to work my way thru them before the deadline. Wait, I love lists. Can we make lists in the respective threads? Like, I easily have at least 10 games I'm anticipating for next year. It would be an ordered list of course. Sure, just remember the only votes that count are the ones that got submitted on the vote form on the OP of this thread. Got to get to playing those games, think I might have to leave my vote to as late as possible as I still have a lot of games to play that came out this year. @Manio does voting have to be done before the 20th or is there a rough time on the 20th of December that voting closes? I'll be closing voting on the 21st. @Manio guess I better get to gaming! Just submitted mine. Took a while, and haven't really played many games this year. And I feel most of the titles I chose, won't be on many of the communities lists... But looking forward to seeing the results. OK, I voted. That was really hard. I didn't play many 2014 games, since I spent like 6 months getting 100% on Dark Souls 2. No PS4 games on my list unfortunately, since I didn't get around to playing any yet this year. Resogun probably would have made the list if I had played it. Remember kids, you've got two more days to vote, and then on the 21st I'll be throwing up the results! My choices are in. Feel like I left out a lot of really good games. Votes have been tallied, and I'll post the winner's thread tomorrow. Thanks for voting! Nice. Thank you for organising this Manio! Nice work @Manio. Looking forward to seeing what the outcome will be. The awards are now live.